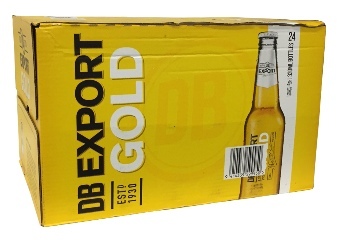 Export Gold is New Zealand's leading lager. Its smooth, full drinking flavour profile makes Export Gold the perfect refreshment beer. Brewed with high quality New Zealand malts and aromatic hops, this golden lager is characterised by a pleasant, slightly fruity flavour, balanced by delicate late hop characters and a crisp, clean bitterness in the finish. Export Gold has won several gold medals at the International Brewing Awards in the UK.